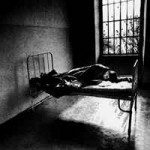 Background/Info: Operating from Norfolk Virginia (USA) Heretics In the Lab was set up by Thomas Morgan and has been active for a couple of years now. This new opus reveals 8 new cuts, which have been introduced as ‘aggressive industrial music’. 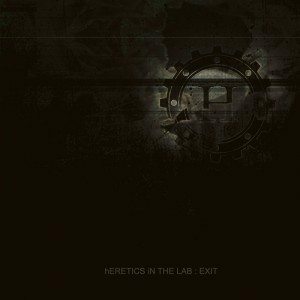 Content: After an intro, which reveals a dark inspiration, Heretics In The Lab rapidly displays their main sources of inspiration, which are clearly ‘industrial’-like and what Europeans would either define as ‘crossover’. Songs are driven by a devilish cadence and furious guitar riffs. 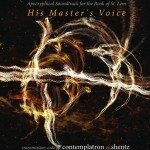 This sound formula clearly reminds me of NIN and some Ministry releases. You’ll notice some electronic treatments coming through while the enraged vocal parts clearly are an essential element of the production. The vocals are another clear link with the aforementioned sources of inspiration. It’s not only enraged and furious, but there are also softer and clear vocal passages. There’s a constant switch from hard and furious passages into calm and relaxing parts, but the heavy format is more prominent. I also noticed some piano arrangements, which again confirms the contrast and duality this album and music genre is made of. A few other parts are more into explicit electronic effects, which are pretty cool, but the guitar riffs are always close behind. + + + : If you’re fond of hard and typical industrial guitar work driven by fast rhythms and wild vocals, “Exit” definitely features a few cool cuts, but I also like the somewhat more explicit electronic arrangements, which makes the global production somewhat more personal. – – – : Despite of a few cool songs, the majority of the tracklist can’t fully convince me. I sometimes get the impression that Heretics In The Lab is still in search of its own sound identity. It all sounds cool when it comes closer to some of their main sources of inspiration like NIN and less accomplished when it’s the other way round. Conclusion: I get the impression that there’s more potential inside this band then what came out on “Exit”. This kind of work confirms how essential it can be to work with an experienced producer.